The Senate on Thursday, July 21, 2016, passed the Nigerian Railway Corporation Bill 2016 seeking to replace the 61 year old obsolete Nigerian Railway Corporation Act, 1955. The Bill sailed through third reading after a very rigorous exercise; and hopes to revitalize the Railway sector for optimal development and conform to modern trends and challenges. The Nigerian Railway Corporation Repeal and Reenactment Bill 2015, was sponsored by Senator Andy Uba. 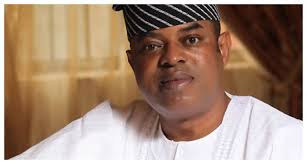 The Chairman of the Senate Committee on Land Transport, Senator Gbenga Ashafa and other members held interactive sessions with the Ministry of Transport and the Nigerian Railway Corporation to evaluate the challenges facing the rail sector including a public hearing. A crucial reform which the bill is presenting is the necessary inclusion of Public Private Partnership (PPP) Initiatives in the Nigerian Railway Sector. The bill also separates the regulator from the operators. It is Hoped that introduction of the Bill will drive the needed economic reform in the industry and provide private investment opportunities for the sector.